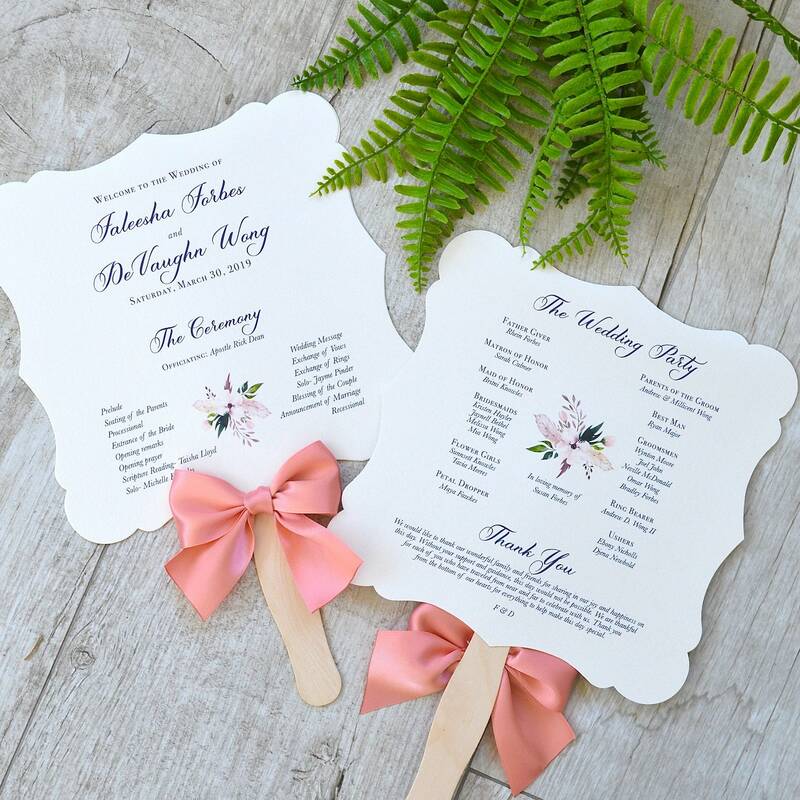 ♥ This Double Sided Program can be customized to match the colors of your special event. Please ask for more details and available color options. DIMENSIONS = 7.25" X 7.25"
2- Any changes to the ink color or ribbon color. If no color changes are requested, you will receive the exact same colors as in the photos. Our Color Chart can be seen in the GALLERY page. 3- Once the order is placed, please email your wording.